More info and products coming soon! Originating in Metepec, the celebrated "Tree of Life" figures convey biblical messages, historical events, or the lives of a family combines with creative aspects of nature. Made with clay extracted from the ground by hand in Michoacán, these ceramic pineapples are a true Mexican art form and are widely celebrated. 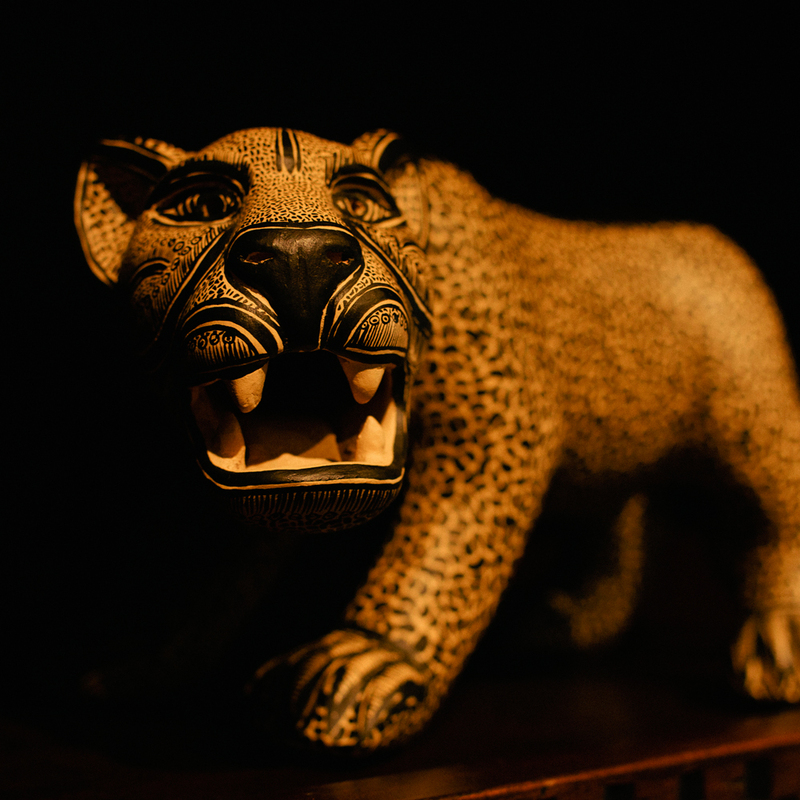 The most well known pottery from Chiapas is the jaguars and doves, in addition to others such as roosters, turtles, frogs, tigers. The clay tends to be lighter in color and is fired in an open outdoor fire versus a traditional oven.